TSC provides physical and cloud-based solutions, including telephony, internet access, cable television, web hosting, domain name registration and related products and services (collectively, the "Services"), to businesses, individuals, non-profit organizations and others.  As part of Hanson Communications, TSC is able to provide a variety and range of products and services to help customers with their technological needs. We may collect the following types of information from you to provide you with the products and services you purchased and for the purposes described below. We may collect any or all of the information via both automated means such as communications profiles or cookies. The information we collect is used for billing and to provide service and support to our customers. We may study this information to determine our customers' needs and to promote certain products and services or additional support. We may also generate non-identifying and aggregate profiles from information that our customers provide during registration (such as the total number of customers in a given category). This aggregated and non-identifying information may be used to promote advertisements that appear on our website and in connection with our services. We take reasonable precautions to prevent unauthorized access to your information. Accordingly, we may require you to provide additional forms of identity should you wish to obtain information about your account details. TSC may also use the information you provide to email the primary contact e-mail on file, or to contact you about other products or services that we think may be of interest. We may use the contact and other information provided to follow up with customers who respond to our customer surveys to help resolve issues internally or with our third party partners. For example, TSC may contact customers based on their survey answers or to highlight certain changes we made in response to customer feedback. We may share customer information obtained from customer surveys within TSC and our corporate family, and with trusted third parties to develop or provide products and services that we believe would be of interest to our customers. In certain jurisdictions or pursuant to the rules of the Internet Corporation for Assigned Names and Numbers ("ICANN") or certain registries, the contact information you provide to register a domain name ("Domain Name Registration Information") has to be made available and accessible to the public through a "WHOIS" search. The WHOIS database is a publicly accessible database that lists the Domain Name Registration Information for a particular domain name, the name server(s) to which the domain name points, and the domain name's creation and expiration date. The Domain Name Registration Information you provide is hosted by us or a third party service provider and is made available to the public through WHOIS searches. At times, customers may receive solicitations that result from searches of the publicly available WHOIS database by other companies or individuals. Any such solicitations or SPAM do not come from TSC and we do not control the use of WHOIS information by third parties. Further, pursuant to ICANN rules, TSC is required to make WHOIS data available to any third party that enters into a bulk access agreement. While ICANN allows individuals to opt-out (using the account management panel, domain management console or similar service) of having their WHOIS information made available to third parties through bulk access, companies, such as ours, businesses, and other organizations do not have the ability to opt-out of having their information made available to a third party that enters a bulk access agreement. We may also deposit your Domain Name Registration Information with a third-party escrow provider to comply with ICANN requirements. By default, customers will receive invoices, any system updates, TSC newsletters and other mailings. Customers are able to opt out of newsletters and mailings by using the unsubscribe link in any promotional email or as otherwise provided in the communication. Please note that customers may not opt out of receiving important system notifications or emails about their accounts. TSC uses technical security measures to prevent the loss, misuse, alternation or unauthorized disclosure of information under our control. TSC uses security measures including and not limited to: physical, electronic and managerial procedures to safeguard and secure the information we collect online. All sensitive information is collected on a secure server. When we ask customers or users to provide financial information (such as a credit card number) that data is protected using Secure Sockets Layer ("SSL") technology.